Earnings yield is the ratio of the earnings per share or EPS divided by the current share price. It is inverse of the price to earnings ratio or commonly known as the PE ratio. As it is an inverse of PE ratio, a higher PE ratio means the companies earnings yield will be lower and vice versa. 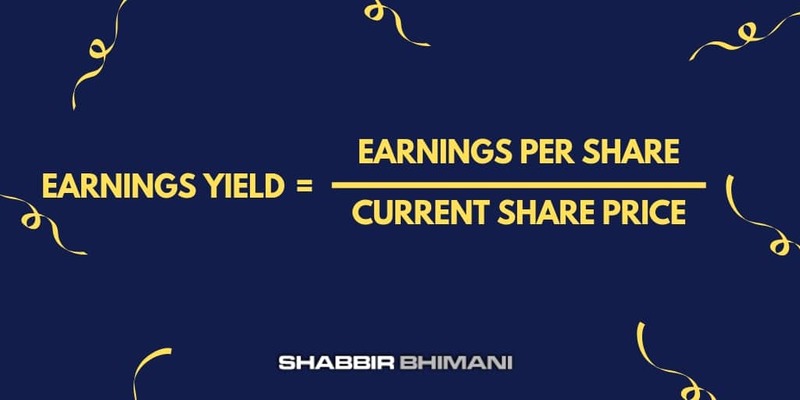 The earnings yield is the return percentage expected by an investor when invested in the companies share at the current market price or rate of return for an investment. So a higher earnings yields mean an investor will make more money investing in the company. Earnings Yield – A Doubled Edge Sword? In India, the ideal interest rates from FD or from the money market is in the range of 8 to 10%. So if anyone wants to consider investing in equity, he should be investing with the earnings yield of at least in double digit. It doesn’t mean one should be investing only in companies with higher earnings yield. If we look at the earnings yield from Screener.in for all the Coffee Can Portfolio Stocks as per The UnUsual Billionaires here is what we get. Quite clearly you will not find too much value only based on the earnings yields for these companies even after the correction. Now let us look at the earnings yield of oil marketing companies. And none of these companies has given returns for investors for the last decade. Now looking at the above numbers, it may seem like lower earnings yield may be better but that is not true either. Earnings yield is based on the past earnings of the company but what we should focus on is the future earnings of the company. The past earnings are used for calculation of current earnings yield at the market price but what is more important is the future earnings. So don’t judge an investment only from earnings yield calculated based on past earnings. Either predict the future earnings and then calculate the earnings yield or use it as an extra parameter once the stock passes the investment checklist and business checklist. So if you have found a stock that is best among equals, one can use the Earnings Yield to invest. How Earnings Yield is Important in Valuing a Stock? There will be very few stocks even in the current market correction that have a double-digit earnings yield that may be worth investing. As we saw, it is one of those parameters where you don’t find too many front-line good quality stocks that have a decent earnings yield and it is because often those companies trade at much higher PE multiple. So earnings yield is expected to be lower. Still, I think it is an important factor to consider when investing because it helps you understand what kind of earnings potential your investment has. Focus on earnings growth more than anything else. If you expect the earnings to keep growing, the yield is the rate of return for you investment. If it sounds too complex, calculate the time when the company you invest can achieve the earnings (EPS) equal to what you are paying as the price per share today. If you are fine holding your investment that long, it should be all good. 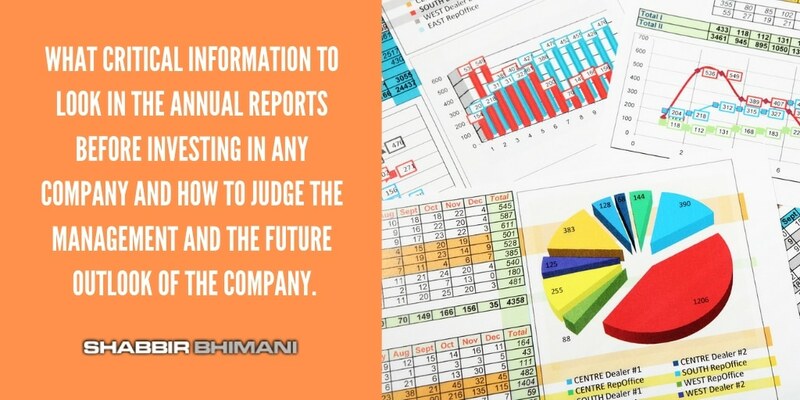 How to Read Critical Information in the Annual Reports Faster?